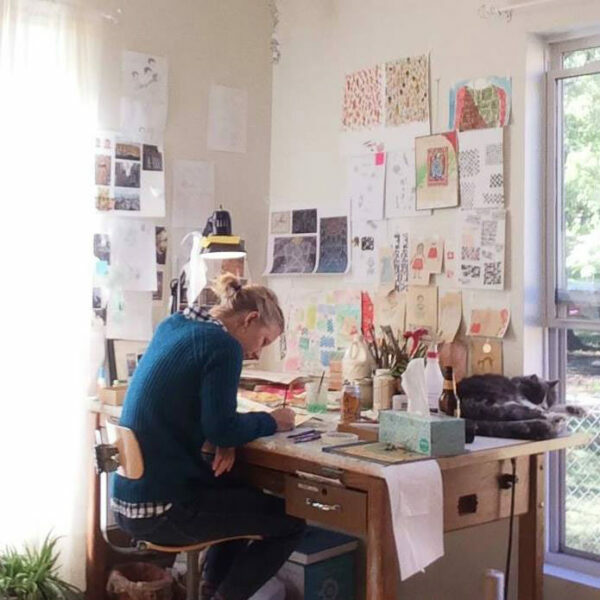 (NEWTON, Kan.) – Animals, nature, people, houses and boats are included in the lively, eclectic, and contemporary works of art in the new exhibit opening on Saturday, May 12, starting at 7 p.m. Lindsey Yankey, Ande Hall and Cathy Broski are the featured artists whose work will be on display and for sale. The opening reception will feature artist talks, music on piano by Ian Gingrich-Gaylord and refreshments.The event is free and open to the public. It is not surprising that a veterinarian-turned artist would paint animals, and that’s exactly what Ande Hall has been doing since she left the veterinary field in 2016. 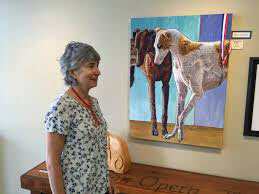 In addition to many species of familiar domestic animals, Hall has focused her art on some of the endangered species such as the African elephants, rhinos and giraffes. She donates a portion of her art income to the International Union for Conservation of Nature. Ceramic artist Cathy Broski’s work is steeped in archetypal and personal symbolism.”Figures, houses, boats and pottery are all vessels we hold dear,” she said. Broski said that she chose those forms to work with because they have several levels of meaning that she finds intriguing to explore. She also appreciates “found objects” because of their wear and the marks of their journeys. “This is the feel I try to achieve in my surfaces by using a layering technique,” she said. Her work begins on the potter’s wheel or with slabs. The pieces grow with the application of coils or additional slabs. 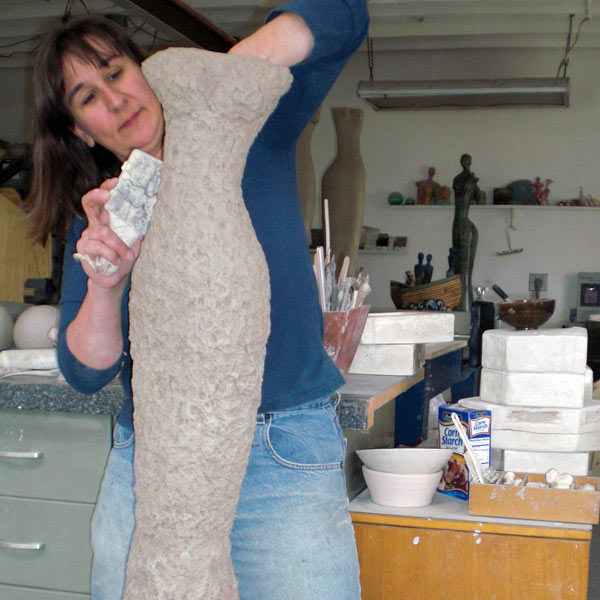 When each piece is completed, she carves or textures the surface. “Whimsical Masterpieces” will be on display and for sale through July 6. The nonprofit Carriage Factory Art Gallery, celebrating its 35th anniversary this year, is housed in a former carriage factory founded in 1883. The building is listed in the National Register of Historic Places. Support for the organization comes primarily through memberships, donations, art sales, facility rental and fundraisers. In addition to featured exhibits that highlight the work of local and regional artists, the gallery includes a consignment gallery for artists, a gift shop and collections of paintings by Albert H. Krehbiel and Vernon Rickman. The gallery provides workshops in various art media throughout the year and offers space for rent for special events and meetings. Gallery hours are Tuesday through Friday, 12 p.m. to 5 p.m., and Saturday, 10 a.m. to 5 p.m.